With the backdrop of growing concern by the Japanese baseball community over baseball’s slightly falling popularity among the youngsters, NPB (Nippon Professional Baseball) Enterprise embarked on a project to reverse the downtrend by using familiar figures for the young generation. 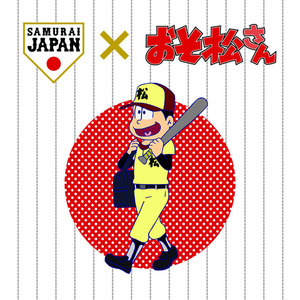 “Osomatsu san” and “Kumatan” characters feature baseball cards and gift items. At the warm-up matches of Samurai Japan against Chinese Taipei at Nagoya on March 5 and at Kyocera Dome on March 6, 600 special “Osomatsu san seats” and “400 Kumatan seats” have been sold out. “Osomatsu san” characters expanded at an explosive pace among young people through twitters and ”Kumatan” is popular among girls both home and abroad. 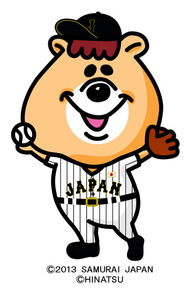 In spite of the highly successful overall rating of the inaugural WBSC Premier 12 by TV Asahi and TBS in Japan in November 2015, NPB was alarmed at the poor outcome for the young age groups, although baseball’s overall rating beat that of soccer when Japanese National Team played against Dominica Republic at the same time. Baseball lost to soccer in teens and below, 20 to 35 years and 35 to 49 categories. For the 20 to 35 years group, soccer surpassed baseball as much as 5.7%. NPB Enterprise with Baseball Federation of Japan as a partner, aims to create a winning relationship with the youth by launching new projects in the future.